Loud, explosive rock propelled by the raw, fragile state of the vocalist, who seems like he's holding it together very well, but could just as easily slip at any moment and be eaten alive by what he's singing about. 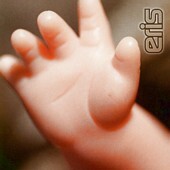 Eris' self-titled full-length touches upon emo and hard rock, but avoids falling prey to the cliches that surround both. Though, the rawness of the songs and the recordings, which works in their favor a lot, also works to their disadvantage, with the songs sounding weak at times, failing to follow through with the amped up, muscular build the band seems to be shooting for. Eris also seems to be stuck in a rut, not sure if they should go for a more spacey ambiance at times or just let it all out and crank out the volume like its never been done before. At any rate, the songs are fairly strong and the band seems to mean everything they're singing about, so their passion isn't in question. I'll give it a B-.